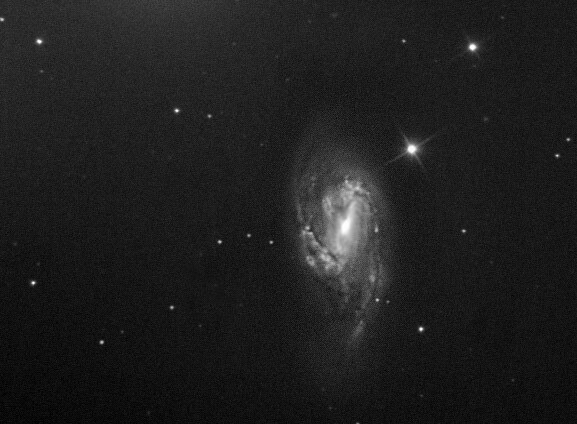 A Black and White image of M66, one of the brighter galaxies in Leo. Turned out rather noiser than hoped. Captured in K3, stacked in registax, curves in photoshop.